Our senior athletes had a promising start to the season in the first Midland Athletics League match at Corby on Sunday. The standout performance came from Charlotte Newman who ran superbly to win the 400m A race and the 200m B race. There were also commanding victories for Fred Tremblay in the 800m and Katie Ingle in 1500m. Joella Spencer, Kane Howett and Nicholas Mbewe all ran superbly in the sprints. Joella was 2nd in the 100m A race, whilst Kane Howitt and Nicholas Mbewe recorded lots of points in the 100m, 200m and long jump. In the distance events Nick Corker and Tom Chew finished 2nd in the 2000m steeplechase A and B races respectively. 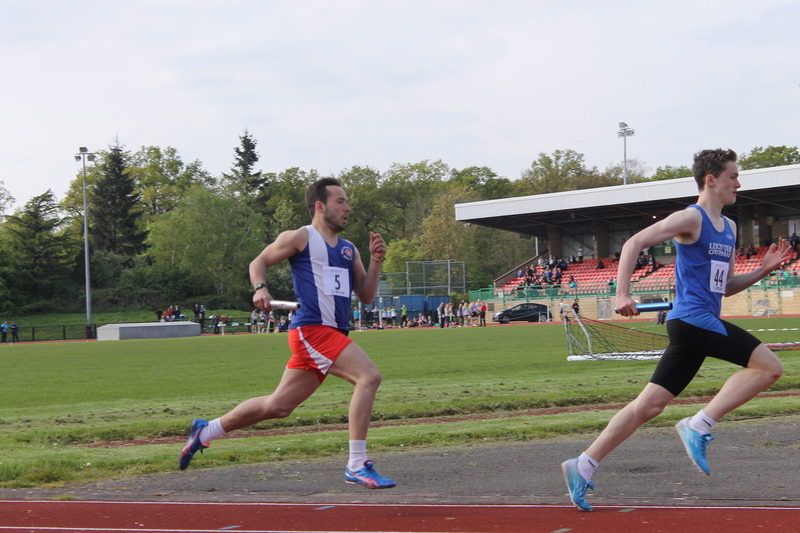 There were also strong runs by Stu McCaw (400m), Paul Thompson (800m), Ollie Harradence (5000m) and Steve Marklew (5000m). In the field there were 2nd place finishes for Megan Evans (triple jump), Rachel Iliffe (high jump), Kevin Brown and Connor Notley (men’s discus) and Chrissie Prince (women’s discus). Elsewhere Fiona Smith scored lots of points in various field events. The results are available on the Power of Ten website. The next match takes place at Tipton on 7 June. Put the date in your diary now!